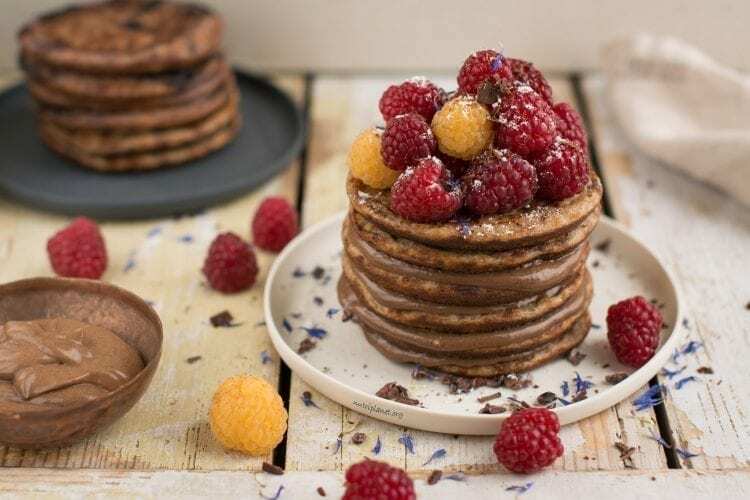 Delicious vegan buckwheat sourdough pancakes that will remind you of the fluffy buttermilk pancakes from your childhood. Only this recipe uses no whipped egg whites, dairy or white wheat flour. Be ready to plan ahead though as sourdough pancakes are slow food! Now that I’ve been making fermented buckwheat bread for ages, it made me think of using the same batter for pancakes as it’s so fluffy and has a perfectly sour taste. I made the first batch with sour soymilk that I happened to have in the fridge and the pancakes turned out so great. 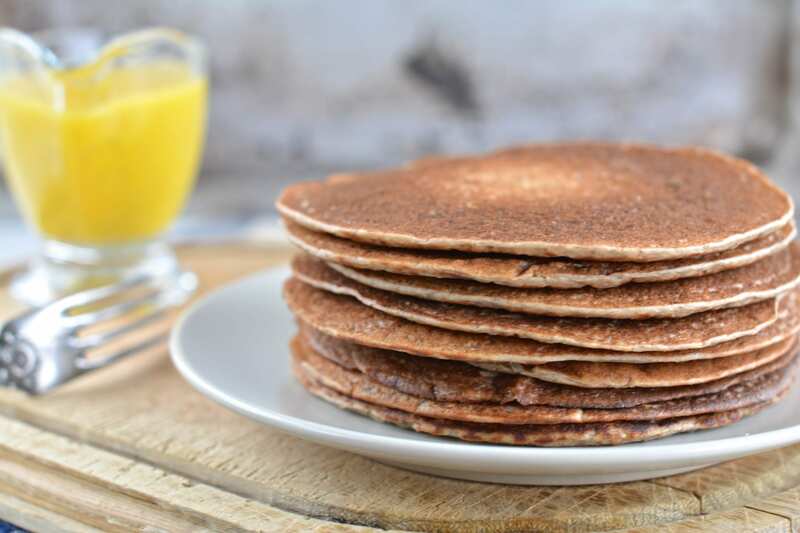 However, I realise that most people don’t happen to have sour plant-based milks in their fridges, so I decided to make those buckwheat sourdough pancakes with fresh oat milk instead. 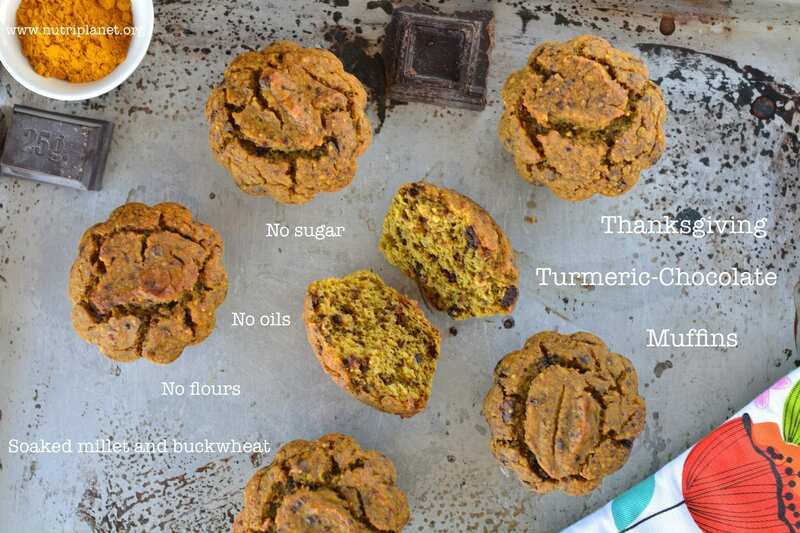 Yet another way of getting a nice colour and some autumn flavour is to use pumpkin puree instead of applesauce. I’d be so happy to hear from you when you make those sourdough pancakes. Just leave a comment below or tag me in social media! First, soak the buckwheat for at least 6 hours. Place thoroughly rinsed and drained groats with 150g of water into blender and blend until you get a homogeneous batter. Then, place this batter into a plastic or ceramic bowl (big enough to mix the pancake batter later), cover with clean kitchen cloth and place into a warm (30°C, 86°F) oven for at least 7 hours. Metal bowl would interfere with fermenting process. It’s ready when the batter has risen and you see small bubbles. Next, smash the banana with fork or blend with immerse blender and add it to the batter with applesauce, ground flax seeds, cinnamon, and sea salt. Mix thoroughly and carefully with wooden spoon. Don’t be too hasty, as you’d lose the fluffiness of the batter. Now, gradually add oat milk and mix well. Let the batter sit for 5 minutes to let flax seeds get slimy. Finally, take a non-stick pan (it’s best to have a separate pan for pancakes to avoid any sticking). Put a bit of coconut or olive oil on the pan and rub it with folded kitchen paper until all the excess oil is absorbed into paper. Use the same paper to clean the pan between pancakes. You may bake large or small pancakes – as you prefer. My buckwheat sourdough pancakes combine really well with Healthy Chocolate Sauce and Caramel Sauce. 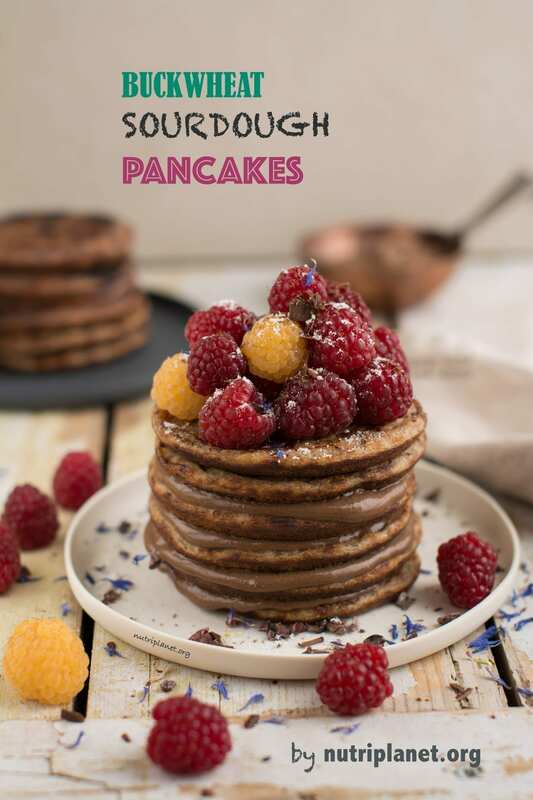 You might as well call me the weird one, but having sensitive digestive system and therefore being a bit of right food combining freak, I prefer my pancakes plain, without any fruit purees. I just take my speciality coffee with soymilk to enjoy them. The best timing to be able to bake the pancakes in the morning is to put the groats to soak in the morning or afternoon the day before, and blend the batter and put it to ferment the evening before. In the morning when you wake up, just take it out of the oven and get going. Take this recipe to a next level by sprouting the groats before blending them with water. Leave soaked and rinsed groats into sieve and place it over a bigger bowl. Cover with clean kitchen towel and you’ll have it sprouted in 24 hours. Rinse every now and then (2-3 times during the 24 hours). 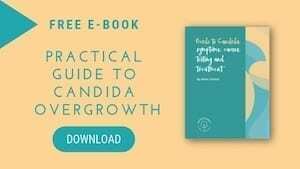 Should you have problems with Candida overgrowth and worry about the banana in the recipe, leave it out and add an additional ½ tablespoon of ground flax seeds. Finally, use the same recipe and make oven waffles in silicone waffle moulds. Wow…glad I found you…instead of banana…not great for me…what can I use? 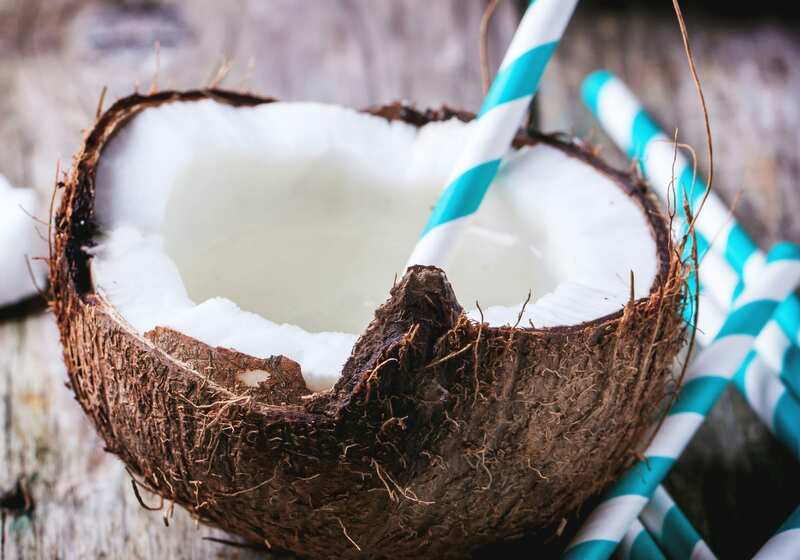 You can just ditch the banana and add a little bit less liquid. Or add a bit more flax seeds.